KENNEDY SPACE CENTER, FL. (January 10, 2018) – The Center for the Advancement of Science in Space (the ISS National Lab) and Marvel Entertainment today announced the Guardians of the Galaxy Space Station Challenge is open for American students ages 13-18 to submit microgravity flight experiment concepts that could be conducted on the International Space Station (ISS) U.S. National Laboratory. 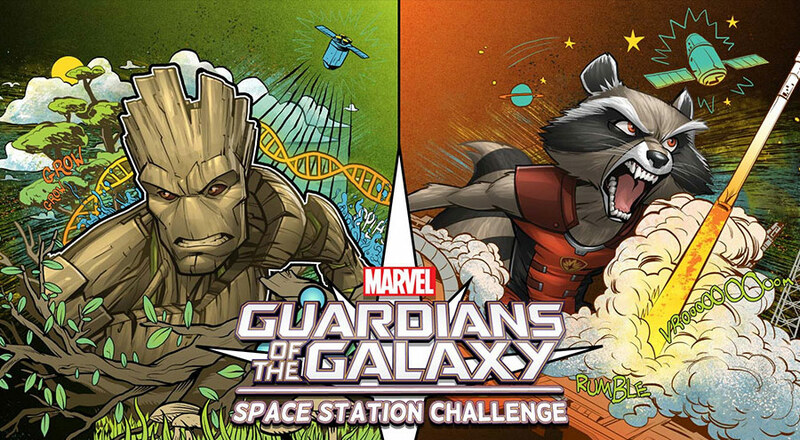 The contest focuses on Rocket and Groot, characters from the Guardians of the Galaxy comic book franchise, and students are encouraged to develop flight proposals based on the attributes of these Super Heroes. The contest will run through January 31, 2018. After the contest concludes, two student-submitted flight concepts will see their vision turned into reality and become an official ISS National Lab investigation, launching to the space station in 2018. In 2016, the ISS National Lab and Marvel partnered to develop a mission patch featuring Rocket and Groot that represented all ISS National Lab investigations from the calendar year. Now the two entities seek to engage and excite American students by providing a truly unique opportunity to send experiments to the space station inspired by Rocket and Groot in far-reaching scientific areas.